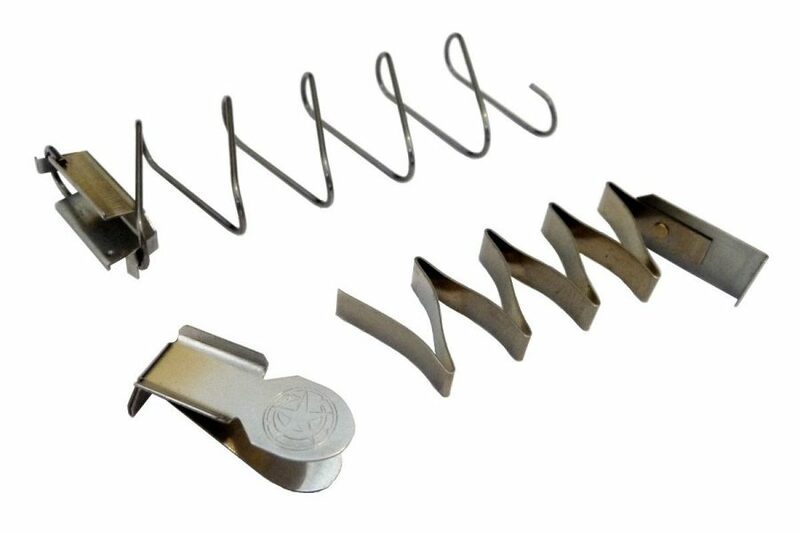 Converts your 7 round Ruger LC9, LC9s, or EC9s 9mm magazine into an 8 round magazine without extension. The kit uses your existing magazine tube and base plate while replacing all internal components with the MagGuts™ hybrid spring system. -Maintains reliable slide lock when empty function. 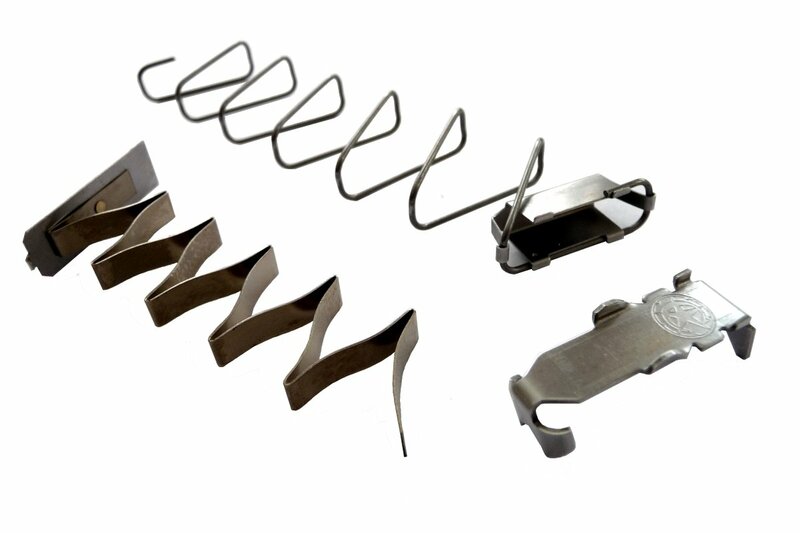 -Finger extension and flat base plates are both compatible with this kit..
-Patented, U.S. Patent No. 8,819,977, other patent(s) pending. I have fired four mag-fulls so far, and it works perfectly in an LC9. Installation was easy. The instructions were well written. At this price, it was worth it to me to add one round to the magazine I carry in the pistol without increasing the length. I would love to have eight more of them, but for the same cost I could buy eight more spare mags. I will probably order one for my 380 after more testing. Great product. Have shot 100 RDS through it…0 issues. Please make the +2 like the shield. Experienced failure to feed the last round on 2 of the four times I emptied mags at the range recently. I would love it if these worked consistently, but since they don’t I would like to return them. Install of MagGuts went as advertise. No issues at all. Rec’d email updates on shipping status and when item would be rec’d, great information on shipment. Ran ~100 rounds through 3 mags. Each mag had 1 FTF during their initial load, then went smooth after the next loads, just needed to break them in. I don’t know if I go a bad one or what, but The End of the spring that sits in the follower needs to be reworked or reengineered. After initial install and testing cycling with snap caps, the spring would contact the slide lock and hold it open with one round left to go. I took it back apart, and bent the spring over so it wouldn’t contact anymore. more snap cap testing and it seemed to have worked itself out. Then at the range firing live rounds, it started again. hold open with one round left in the magazine. Took it apart AGAIN and bent the spring some more. Still need to do more live fire testing with this before I can recommend it much less use it in a magazine that I may call upon to save my life in a self defense situation. Another great product. Interestingly, and likely due to the larger size, this MagGuts conversion kit was much harder to install than others (I have 3 kits for my LCP). The only other issue was that there is not yet a video guide, and the printed instructions, while clear, are not as detailed as they could be. 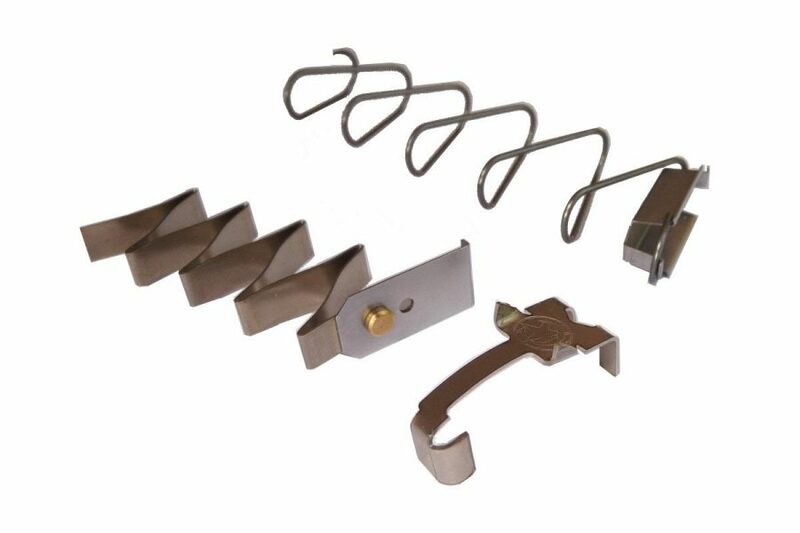 Once installed, they are no more difficult to load than the standard magazine, and inserting a loaded magazine does not require extra effort (as with the LCP conversion). I will be getting more of these soon. Another great MagGuts product. Easy to install and works perfectly. 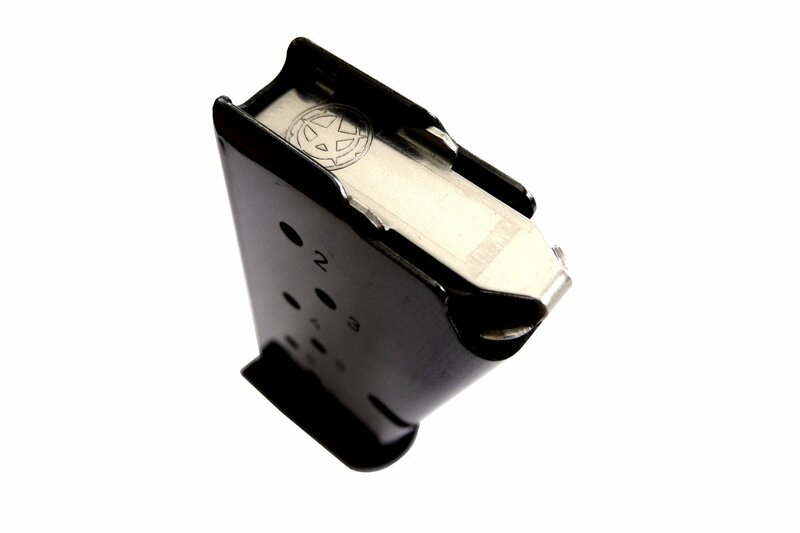 Full mag inserts easily with the slide forward and locks back on the last round. On my way to order another one for the back up mag. I bought 2 for my 2 factory mags and one was great, no issues, and the other not so much. It had problems with holding the slide open after last round and failures to go into battery and even fte at times. I put around 250 rounds through them and I’ll probably take that problem one apart and clean it lube it and try it out with a few hundred more rounds, but right now I can’t trust it for my ccw. The magazine kit was simple to install but a little expensive for 1 additional round. $20 would be a more reasonable price. I use them in multiple pistols and have fired hundreds of rounds with them… haven’t had any failures yet while using them. I bought three sets for my Ruger LC9s Pro. The installation was easy and the new springs performed flawlessly in all three magazines. I used two different hollow point ammo (Hornady Critical Defense 115 and Federal 124 HP). I also used Winchester 124 FMC ammo as well. The Mugguts product is high quality. Even the baseplate retention pin is made of brass instead of the factory plastic. Which also gives you a visible reference as to which spring is in your magazine in case you have a combination of factory mags etc. I highly recommend anyone with an LC9 to invest in this upgrade. Adding another round is always a good thing.When it’s totally reliable it’s even better.So far after 100+ rounds no failures at all.Won’t hesitate to use for EDC. Install was easy and works great. I have installed them in 3 different guns. Great product. I own several for different handguns. All work as advertised. This is a great product. I installed a set in my G42 and LC9S. I lost a spring from my lc9 spare mag. Searched everywhere on internet until I found mag guts. Their improved spring was perfect for my needs. Half the price of an whole new mag and upped the capacity by 1 round. I will be getting another for my spare mag also in near future. just installed easily. have not fired gun with maggot in. It did what they claimed it would. Worked great and easy to install. I ordered two kits one for my EDC and one for my spare mag. I liked it so much I ordered a kit for my LCP and one for my wife’s LCPII. Works as advertised. what else is there to say. When will you have one for my CM9 Kahr????? It needs one desperately!!!! Install was fairly straightforward if you follow the assembly picture. Loading last round in the magazine was not as smooth as it could be. Almost enough resistance to make you think mag is full then suddenly it accepts the last round. Took it to the range and it feeds flawlessly. Maybe the loading issue will get better with use. Took about 2 minutes to install. Nice! I got one a few years back for my shield 40, never could get it to work, see they don’t even offer it anymore. I took a chance on the one for the LC9, it has more parts then before, well thought out. Easy to install, tried it twice at range no problems at all.Only 4 stars as time will tell if it keeps working. I received my Magguts kit for Ruger ec9s magazine very fast. Installation was very easy and the parts are the highest quality by manufacturing and material.the magazine operation is very smooth and the 8+1 ammunition upgrade is also a great benefit! I will be buying more magazines and Magguts upgrade kits in the near future for my Ruger ec9s . If you have a Ruger lc9, ec9s or lc9s this is a must have upgrade for your firearm. Works well with both FMJ and HP ammo. Just follow the directions and it’s easy to install. Great customer service and great product! Be sure your magazine is totally clean and degreased before installation. Used as my CCW. Install very easy. Took my time and it took 4 minutes. Loaded 8 (7 round mag) right away. Clean and professional product. Out of the package I had the magazine back together in less than a minute. Works great. They just work. Someday you might need the extra round on your EDC gun. No support for military or law-enforcement. Time is money, and they want me to spend time reviewing their products for free. Yet, they do not provide a discount to military or law-enforcement. Therefore, I will not give them a good or a bad rating, simply a middle-of-the- Road three star rating. It amazes me that they will not support the military or law-enforcement. Couldn’t expect more, easy installation and works as advertised .. I purchased magguts for both my Ruger lcp and lc9s both work well. Easy to install. Nice to have that extra round. Awesome upgrade to my EC9s mag. Went from 7+1 to 8+1. Hope I never need the extra but nice to have ! Works well in my LCP and will try it in my LC9s soon. Easy install and perfect functioning. Very quick shipping and easy to install. Haven’t fired with the mag yet, but last round is easy to get in mag, clean install and quality parts used. For Ruger LC9s Pro. Easy to assemble. Would be nice if the assembly drawing was printed a little clearer. It would be easy to assemble incorrectly without the YouTube video because the features on the drawing are not clear. Works well, would buy more if the price were a little lower. Recommended. A great product that does what it claims to do! I’ve changed out the magazine internals for the stock LC9s magazine with the MagGuts kit. It has increased the capacity to 8 and functions flawlessly. I will be getting 2 more kits to update my other magazines. It’s great internals but is now preventing my magazine from ejecting properly. It just pops out but doesn’t fully eject. No failures, easy to install. Make sure you keep magazine clean. Functioned perfectly in my Ruger LC9-s Pro. Smooth and reliable! Locks slide back on the last round just like the original, but with one extra round! What a clever idea! I bet it will not be long before gun manufactures start using MagGuts in their factory mags. LC9S magazine, added a round as advertised. Fairly easy conversion when following instructions. Works as advertised in capacity and when used in firearm. works great in my lC9s. no trouble to install, and no trouble loading. I initially had a problem with the slide locking on the last round. Contacted magguts and found out I installed the first spring backwards. The support team responded very quickly and was very helpful. Excellent product from an excellent company. installed the MG according to instructions, the last (8th) round sometimes won’t load into the mag. reversing the flat spring fixes that, but then won’t eject the last round. problematic. i hope you have a reasonable fix. It functions exactly as advertised. I have an extra round in an already great carry pistol. I have already recommended this quick upgrade to two others that own LC9s Pros. Great job, guys! I really want to see a mag guts kit for my lcp2 factory extended mags. The plus 1 capacity of The factory mags makes the gun just the right size, and I can’t help but wonder how many rounds mag guts could fit into that size. Could not be happier with the internals for the 7 round lc9s magazine. Easy to install and flawless function. Plan to get another. These springs are very well made. Top notch materials and workmanship. I trust it. The product arrived in the stated time. It was easy to install and has functioned flawlessly so far. I would recommend it for the extra round upgrade. My only problem with the mag guts is the metal plate the bullets rest on when it gets down to the last round it will have a failure to feed sometimes, it’d be really nice to have a polymer plate to replace it with since bullets tend to slide off of polymer a lot easier, but other than that I loved having an extra round maybe after some use that last round will feed Everytime. Such a great product, couldn’t be happier. I bought one fir my Ruger EC9S. Was very easy to install and works very well. It was a little hard to get the 8th round in at first but i left the magazine loaded for a couple of days and now no issues. Very quick and easy to install. Came quickly. Easy to install and works well. Great product. Have not had a chance to shoot with the Magguts yet but it fit perfect. I can say that the order was easy and the shipping was extremely fast. This is the 6th MagGuts I have ordered, and the 3rd for the LC9s. In case I need to elaborate, I think it’s an amazing product. Easy to install. Have not tried them to see how they function yet.